Teeth become discolored for various reasons. They can also get chipped or broken, lined up wrong, or just worn down. That’s where our porcelain veneers come in — they are very thin shells made of porcelain. We design them to cover the front of your teeth, sort of like a little shield. However, these shields are bonded to the surface of your tooth and can change the color, size, shape, or length of your tooth depending on your goals. Porcelain veneers can dramatically improve spacing, discoloration, and chipping. Many people call the use of veneers "a facelift for your mouth." This isn’t far from the truth since our general and cosmetic dentist, Dr. Frederick Solomon, can use them to provide a more supportive structure for your face, which also results in a more youthful look. At Tribeca Smiles in New York, NY, we offer customizable porcelain veneers and minimal-prep veneers to whiten and brighten stained or dull teeth, close spaces between the teeth, cover chips and gaps, create on-the-spot orthodontics to adjust crooked teeth, or change the length of a tooth to make your smile symmetrical. Since every set of veneers is meticulously created for your teeth alone, it is important to have an open dialogue with Dr. Solomon from day one. From these discussions, he will be able to determine your individual needs and goals. He will also want to examine your teeth and talk about your expectations for the upcoming treatment so that each stage will fulfill your expectations. Overall, Dr. Solomon has a standard list of conditions to evaluate to see if you are a good candidate, which boils down to your teeth needing to be healthy and free of decay. You can’t have gum disease or habitually clench or grind your teeth. Your bite also needs to be properly aligned and you ideally should have enough healthy tooth enamel already, which is vital in supporting the new veneers after they are bonded to the teeth. You might visit Tribeca Smiles up to three times to complete the procedure. The first visit is for a consultation so that we can get on the same page regarding what you want you done, what needs to be done, and how to best accomplish and exceed your goals. The second and third visits involve having the veneers crafted and applied to your teeth. 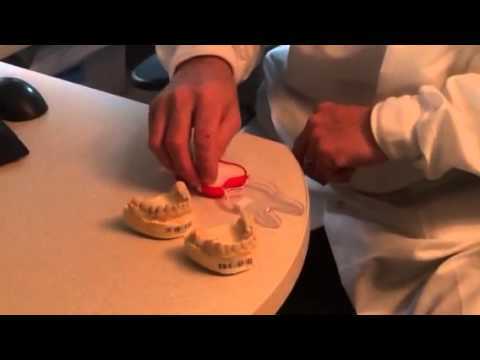 When everything is set and the final application is ready to go, Dr. Solomon will carefully strip off about a half-millimeter of enamel from the tooth. That’s okay, since the veneer is also about a half-millimeter in thickness. This way, your teeth won’t look any bigger because of the veneers. Then impressions are made, from which the veneers are created in a couple weeks. Your final visit entails having them securely bonded to the surface of your teeth. Recovery from having veneers installed is similar to getting a filling. Most likely, you will be fine with local anesthesia — you’ll just feel a numbness in the treatment area. Your speaking abilities may also be slightly impaired for a few minutes. You may find yourself overly sensitive to hot and cold temperatures and/or food, but this shouldn’t last long either. You can go back to work right away, but sometimes it is more helpful to schedule your appointment so you can go home that day instead. From there, it’s generally an issue of trying to be mindful of eating softer, dentist-approved foods for veneers, and then gradually working your way up to more challenging, harder, or tougher foods. Overall, there may be a couple days of slight discomfort as your mouth adjusts, but it should stabilize in no time. Dr. Solomon and his highly trained staff are here for you from your first contact. So, to find out more about how you might stand to benefit from new veneers, call Tribeca Smiles now or drop by our relaxing, loft-like space in the heart of Tribeca. From the first time you do, you’ll appreciate the fact that Tribeca Smiles is not just another dental practice. You’ll see how the whole staff has taken Dr. Solomon’s mission statement of "not just fixing teeth but treating the whole patient" to heart. Dr. Solomon’s decades of experience, combined with the latest technology, will indeed give you the newest Tribeca smile.